Man gave names to all that surrounds it. Some of them people are so used to that by saying, I do not think about their meaning and significance. In fact, few people today pay attention to the names of cities and streets. They are taken for granted. Cities that got their names after animals, there are many. Many of them are quite large and well-known all over the world. Among them not only Russian, but also German, American, Greek and even African. For example, the name of the capital of Uganda – Kampala, means "antelope" in a literal translation on Russian language of the tribes who lived there. The city of Ivry-La-Bataille, France, was named in honor of wild boar. Alupka, the name of the city, which is located on the Crimean Peninsula and the Khazars founded over a thousand years ago, Greek – Nora Fox. Located in the state of new York, a city called Buffalo, too, was named in honor of the animal, because in English it means "Buffalo" or "Buffalo." You can find many interesting examples if you dig a little deeper. Vorkuta, a city in Russia, which was founded in 1963, has a title that Nenets language means "many bears". Although in the vicinity of this city are no bears there. Another thing the Belarusian city of Bobruisk. Here, according to the Chronicles in the days of Kievan Rus ' was the village, the main occupation of the inhabitants was fishing and borrowby fishing. In some countries in the early last century these animals has practically disappeared. Belarus was no exception, but the authorities just stepped in and created for animals of Berezinsky reserve, which helped to stop the disappearance of beavers in the country. 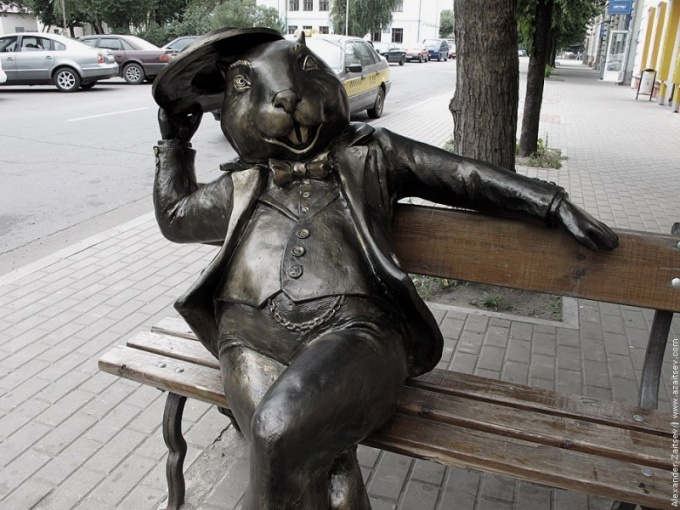 The city has several monuments dedicated to those animals, to be photographed with whom tourists come from all over the world. Ukrainian city of Lviv, as reported by the ancient Chronicles, was founded by Prince Daniil Galicki. But most residents of the city tell a romantic story about a lion who was stealing people dared to walk in the woods alone, and the brave knight who saved people by killing the beast. A town in the Yaroslavl region, Myshkin, known from the XV century At the time he was a small village. His name is associated with the legend. One day the village head was resting on the Volga river. He was awakened by a mouse, and thus saved him from slithering snakes to him. Since then, the mouse - favorite animal residents. The Swiss city of Bern, founded in 1191, took its name in honor of the bear. Duke Berthold V vowed that will name the city after the first animal he killed on the hunt. The trophy was the bear, and the city was named Bern. In German language is translated as the bear is Bär. Of course, this is not all cities that are named after animals. A lot of them, and their history and the origin of the names is very interesting and exciting.